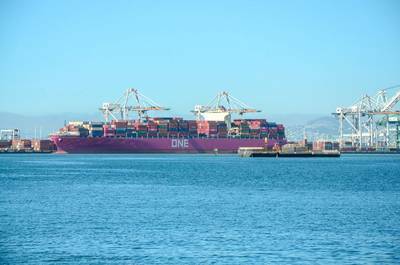 Port of Oakland containerized import volume reached an all-time high last month, according to data released today. The port said it handled the equivalent of 87,207 20-foot import containers in June. That beat the previous monthly record of 84,835 containers set last July. June import volume was up 8.7 percent over June 2017, the port said. It explained that two factors may have led to the increase: Peak season – the summer-fall period when most U.S. imports from Asia are shipped – is expected to be strong; and importers may have ordered aggressively in June ahead of tariffs imposed this month by the U.S. and China.